Download Flappy Defense today for FREE! 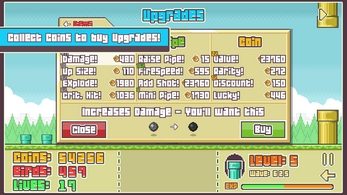 Destroy Birds by shooting off cannonballs from your customizable pipe. Don't let a single one through or you'll be set back! 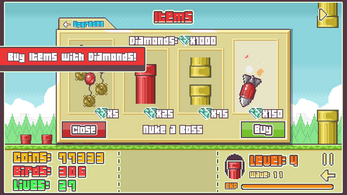 Defeating bosses loots you diamonds to purchase powerful Items at your side. Are you able to earn every Achievement? 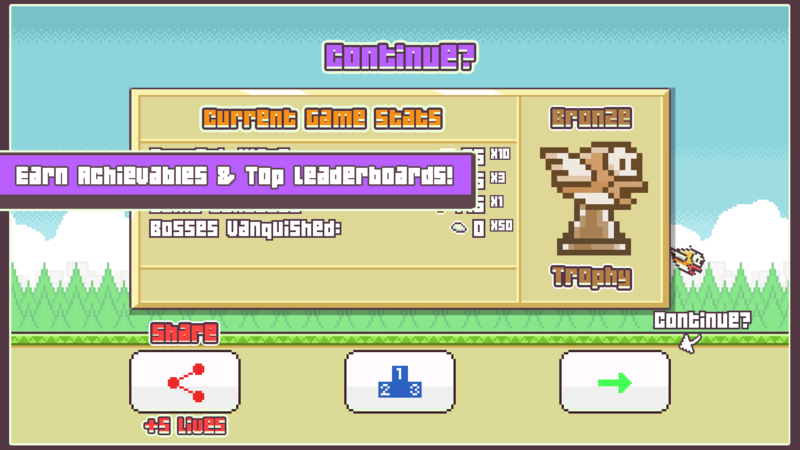 Brag to your friends by hitting an all time top score in the Leaderboards! 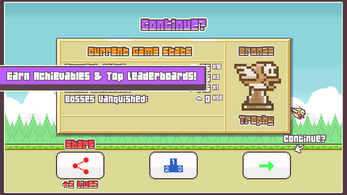 Never stop fighting the oncoming waves to become a Flappy Defense Master! Wave after wave of enemies is going to come for you, are you ready to handle it? You can Upgrade your defenses and firepower between each wave. Waves will start to skip as you progress making the birds harder and the coins more valuable. Every 5 Waves is a special wave with varying effects at random! Birds might receive more speed or more health, but they can also be all of one type of bird. Prepare yourself for these sometimes intense waves. Every 10 Waves is a new boss at first, but watch out, the bosses will get tougher and bigger as you progress! Bosses can also contain special powers based off the Special Birds! By destroying bosses you earn diamonds. 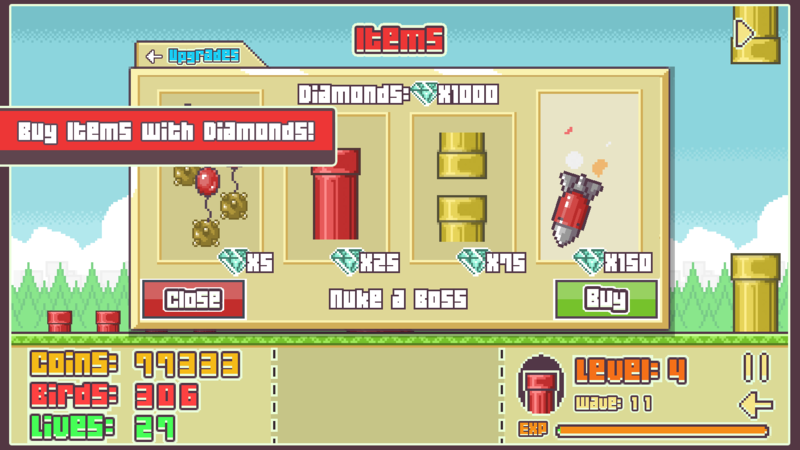 Diamonds can be used to purchase Items in the store to help you progress! When you game over the fight is not lost! You keep all of your coins, diamonds and Upgrades! You can continue fighting, but you will be pushed back a certain number of waves. Infinite Waves of Enemies - But how far will you go?! 9 Different Types of Birds - Fast, Healing, Invisible & More! Limitless Leveling - Become a powerhouse! 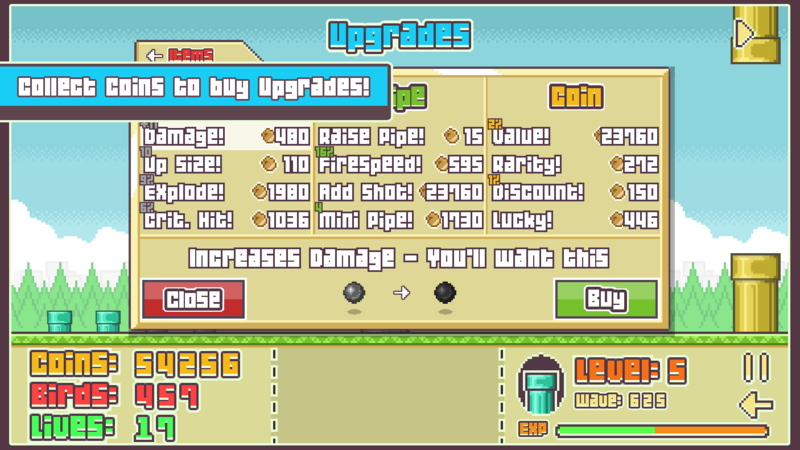 12 Different Upgrades - Enhance your Base to the Max! Pixel Art & 8 Bit Sound + Music! Unique Items to buy with Boss Diamonds! Leaderboards & Achievements to impress your friends!